Support the child’s full development while providing an environment that will promote school readiness. Develop safe and healthy habits in young children with an emphasis on proper hygiene, sound nutrition, exercise and physical care. Foster positive self-esteem by providing an environment of acceptance that supports and respects gender, culture, language, ethnicity and family composition. Provide opportunities for creative expression. 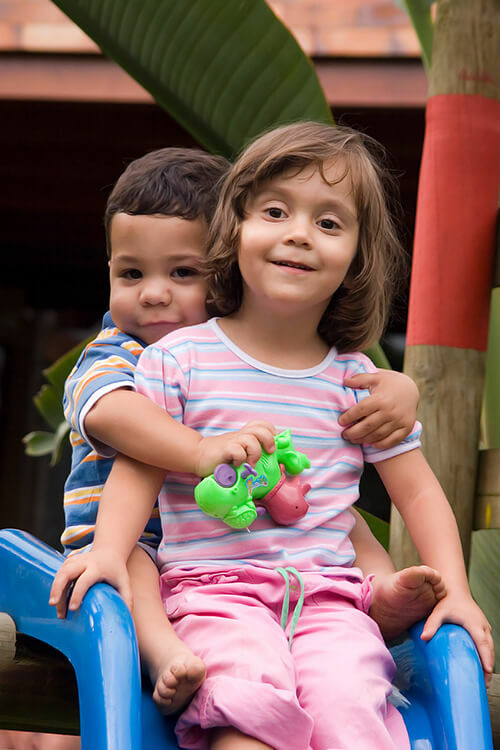 Support the development of social skills such as sharing, cooperation, generosity and empathy. Stimulate cognitive problem-solving skills with an emphasis on the concepts of cause and effect, classification, space, time, numbers, shape and colors. Strengthen communication skills necessary for listening, reading, writing and speaking by providing an environment rich in the practical uses of words. Enhance fine motor and gross motor skills. Mondays are set aside for training, staff preparation and family services. Full-day classes are held from 7:00 a.m. to 6:00 p.m., Monday through Friday. Brazoria County Head Start Early Learning Schools, Inc. is a Federally Funded Child Development Program for children of low-income families ages three through public school age. There is a funded enrollment for 494 children. The enrollment is subdivided among 8 campuses.